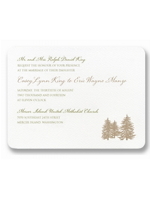 This white round cornered letterpress wedding invitation is shown styled with a pine tree motif, which is optional. 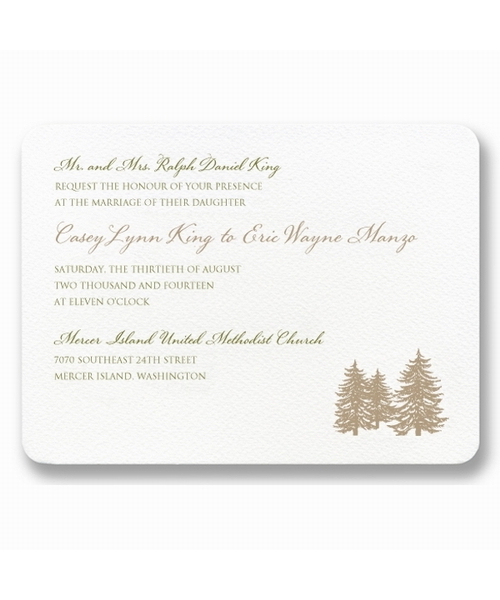 The use of letterpress printing, landscape format, ink colours and "trio of trees" design element achieves a unique result. 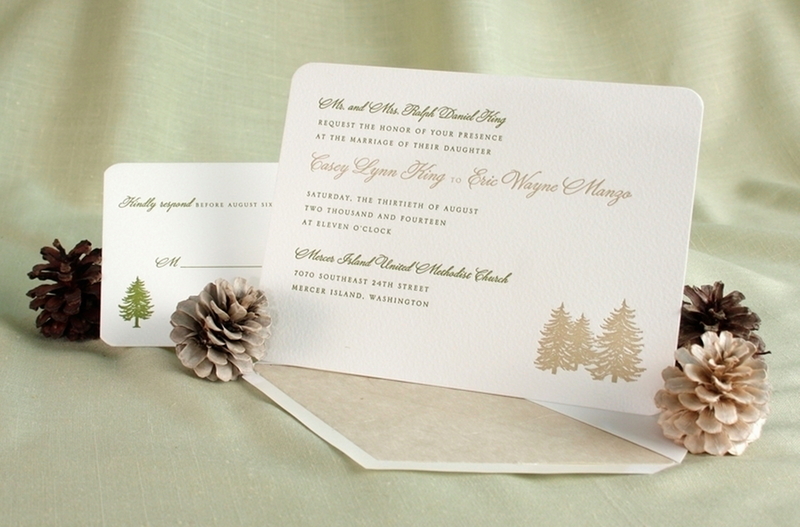 The sample as shown would be perfect for a winter wedding. 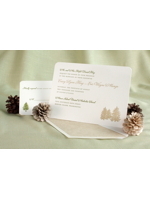 This is a very versatile card and by changing the design elements you can create a card for any style of wedding at any time of year. 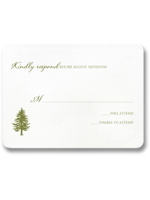 The image of this card is shown with a tree motiff which is completely optional as are all the fonts and ink colours used. 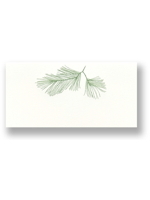 We have some beautiful envelope linings to choose from to compliment your use of ink colour. 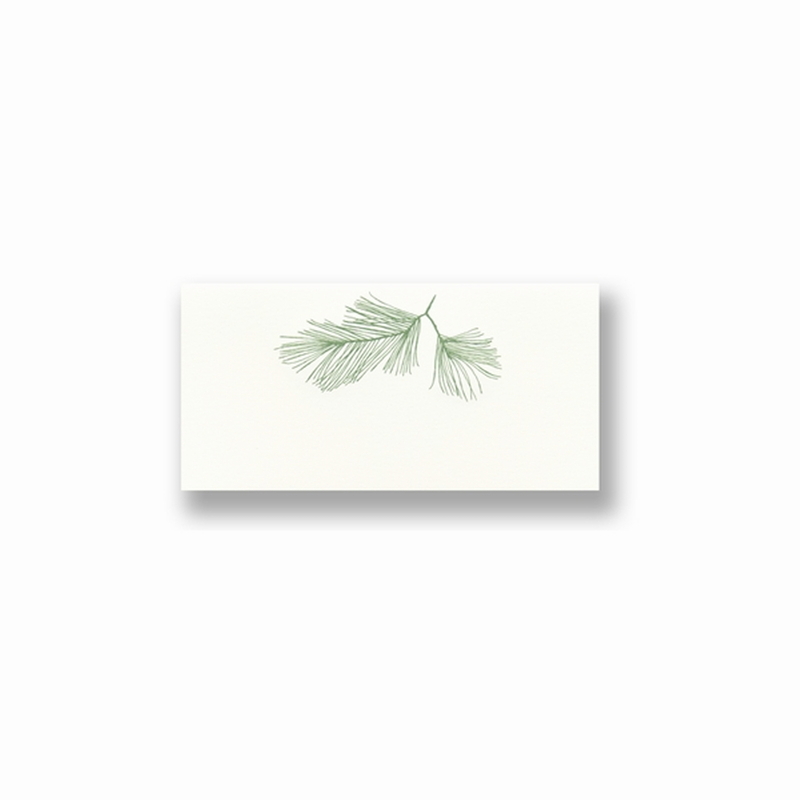 A full range of accompanying cards including, reply, information, thank you and place cards are available to match this card. 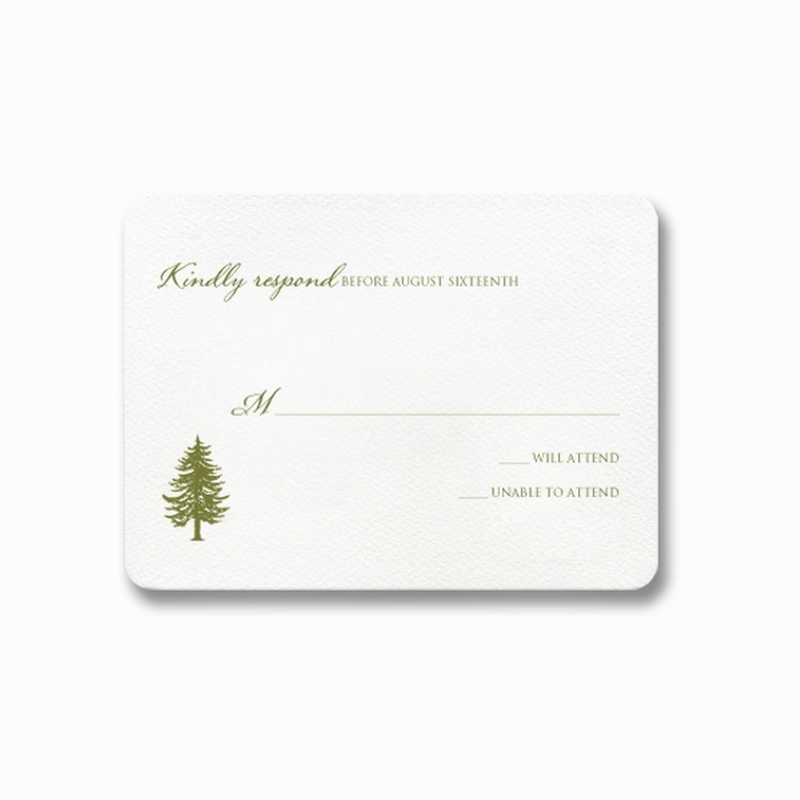 A square cornered version of this card is also available. 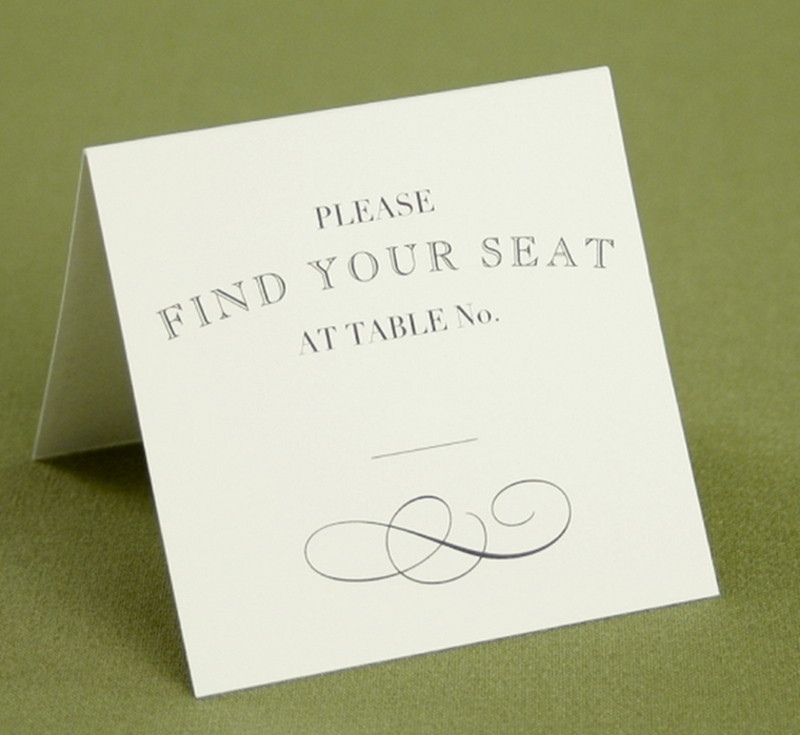 This invitation, printed in a single ink colour, using letterpress print as shown, including envelope, is available from €537 for a wedding of around 90 to 100 guests. 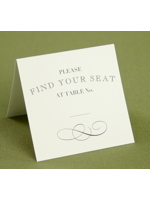 For a wedding of around 100 to 150 guests the price would be €603.